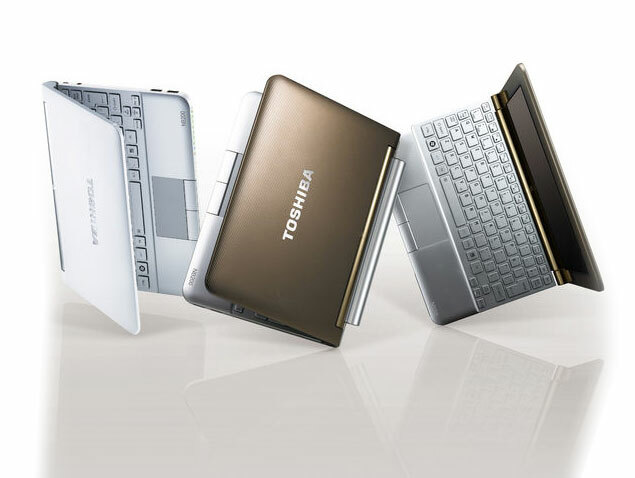 The Toshiba NB200 is the company's second generation of netbook, featuring a more stylish design and a larger display than last year's NB100. 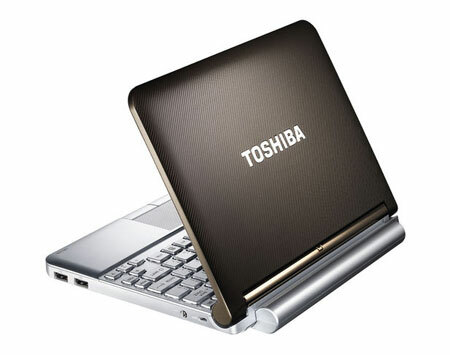 But, apart from one or two interesting features, there is little to make it stand out from the many other netbooks on the market.. Toshiba's NB200 has a nice screen and keyboard, and offers the build quality we would expect from the firm. 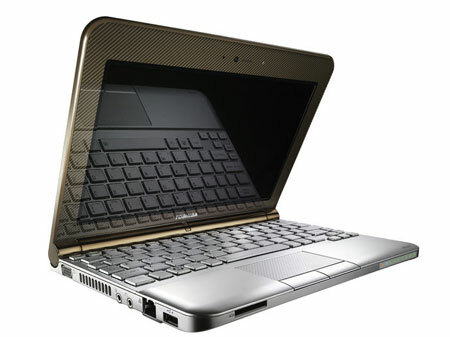 But in other respects it is very similar to many other netbook models. 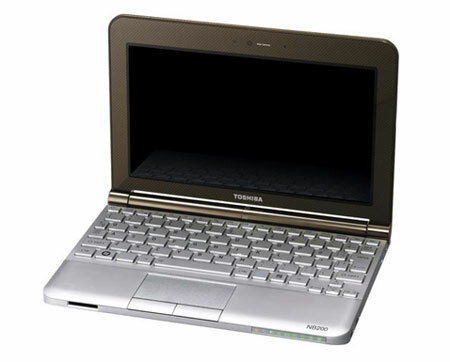 Toshiba's first stab at a netbook, the NB100, was on the boxy side, and suffered from specs that were slightly out-of-date by the time it launched. 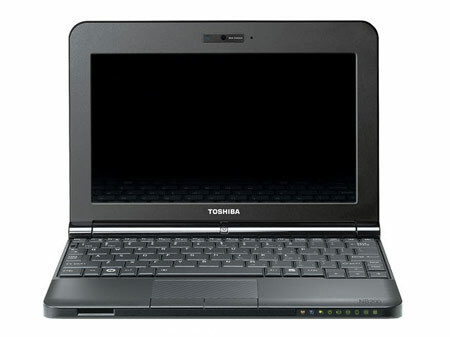 With the slicker-looking NB200, Toshiba is looking to make up lost ground. With so many good netbooks now on the market, manufacturers face an increasingly tough challenge to make their offerings stand out. By adding neat features like the charge-and-sleep USB port and shock-protected hard-drive, Toshiba has managed to pull it off with the NB200. We have no hesitation in recommending it. The new Toshiba mini NB205 is an attractive netbook that offers a fantastic touchpad, large keyboard, and easy access for upgrades. The battery life of the NB205 is among the best in class and should get you through a full day at school or the office. 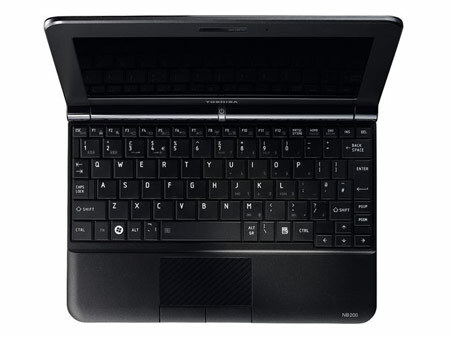 At a price of just $400 this might be a popular netbook for the back-to-school season. Still, despite these nice features, it's hard to overlook the flex and sound of weak plastics, the extremely flexible keyboard, and the weak speakers. 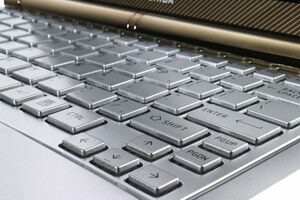 Most netbooks have surprisingly firm keyboards, so we're more than a little disappointed that the keyboard on the NB205 practically "bounces" while you type on it. This is about as high end as a low-end laptop gets. We admire Toshiba for finding a design hook, hanging itself off it, and resolutely staying there no matter how loudly the world shouts: the look of the NB200 we recieved is best summed up as 'diagonal stripes and plastic'. If you can find the black version we'd say the NB200 is a fantastic choice poking its head out above a busy crowd. Steer clear of the silver one, though. The jump from an 8.9-inch form factor in the NB100 to the 10.1-inch design here places the NB200 firmly in line with its rivals. 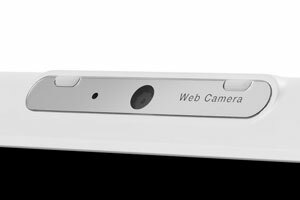 Aside from the excellent battery life, it has no stand-out features, but it still remains a highly attractive and well-made netbook. 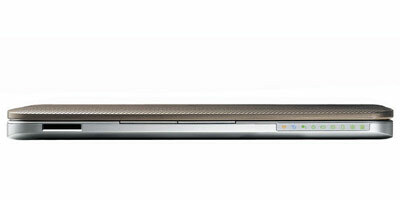 It may not move the game on, then, but it’s among the best netbooks currently available.